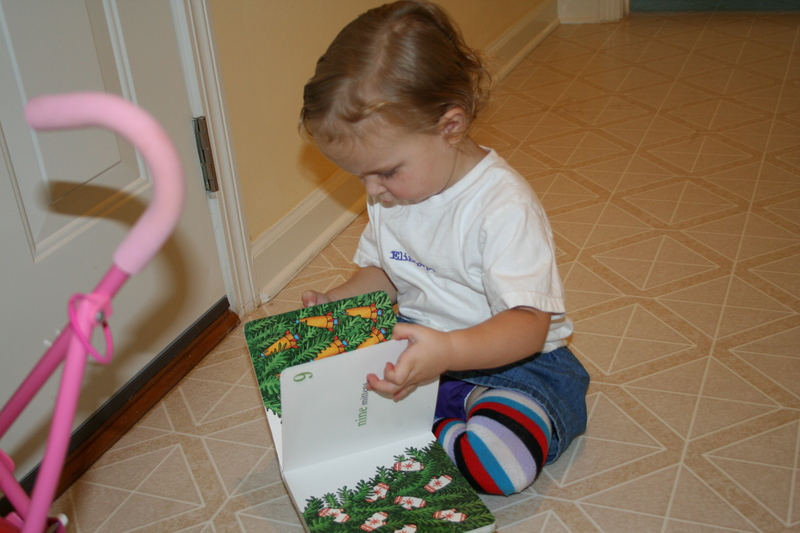 Reading the book we were about to return to the library.Â She’s sitting in front of the garage door. 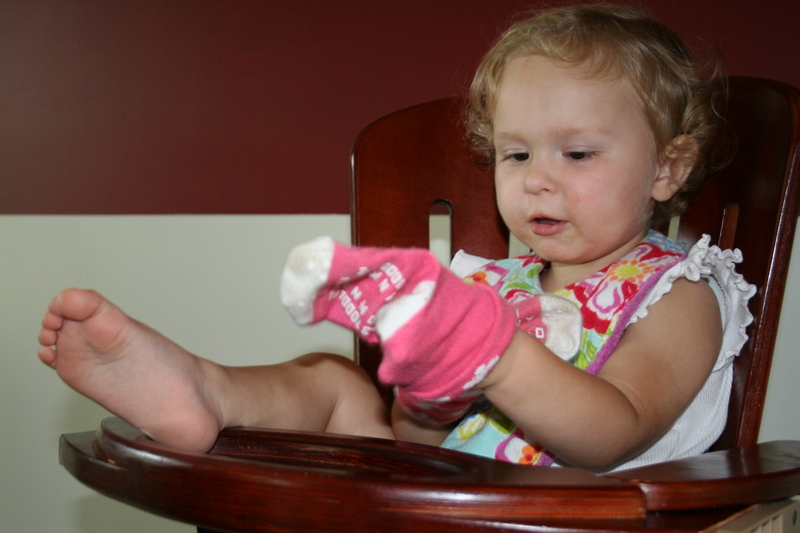 She decided that she needed to take her socks off (IMMEDIATELY) and put them on her hands. 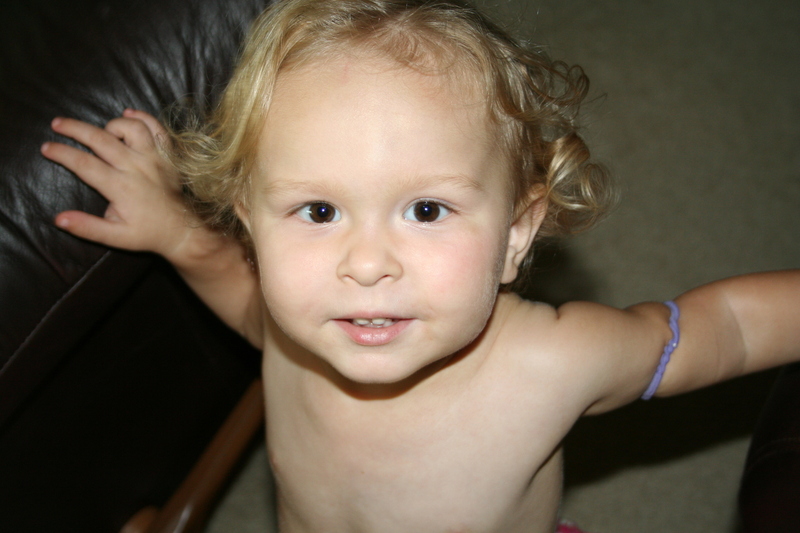 Did you know that rubber bands for hair are really bracelets? We’ve entered into the nudest stage of toddlerhood.